NBI’s purpose is to ensure that people with disabilities and their families are supported and empowered to participate fully in community life. As we close off another year in NBI’s history and reflect on what has been achieved, I am reminded that leadership revitalisation is essential for the health of any organisation. This is why the Board recently elected to continue with a six-year term limitation for all Board members. We believe this gives us the right balance between continuity - ensuring we have people who know how the organisation is run and can see initiatives through to completion, and renewal - being able to recruit new Board members with innovative ideas and a fresh vision. It is also the reason why this is my last year as Chair of the Board for NBI. After six wonderful years on the Board, it is my time to step aside and bring in new talent who will see NBI flourish and grow into the future. The last six years have seen enormous changes at NBI such as the impending shift to the NDIS and person-centered care; the expansion of our services to support people aged over 25 with, for example, the addition of our Peer Plus group; changes to our governance structure and fundraising and marketing strategies. The future is more uncertain today than it was when I first joined and the Board and the management team have worked hard to develop a strategy that will ensure the organisation can survive and thrive in the new funding environment - with an even stronger focus on serving people with disabilities and their families. However, as I reflect on the last six years, it is not the leadership achievements, our financial position, or even our strategy that most stands out to me. Rather it is the joy of seeing young people enjoy life and participate fully in community events that has the most meaning for me. Whether it was seeing a group of our wonderful Peer team cross the Pub2Pub finish line, or members of the Saturday Program score some goals at soccer, or the little ones faces light up when Santa arrives at the annual fun day, these are the memories that will stick with me long after the ‘strategy’ is forgotten. It is also the hard working, and caring staff and volunteers who give NBI our point of difference. For them, supporting families and helping people with disabilities live their best life is not a job, it’s a calling, and I have frequently seen our staff go well above the call of duty to make a difference in someone’s life. It is also my fellow Board members who contribute their time and give freely of their talents to help sustain and grow this wonderful organisation. Thanks must also go to Carolyn McKay, the CEO who steers a steady course in turbulent seas, at the same time as navigating completely new territories without a map. I have the utmost confidence in the future success of NBI. I believe we are well positioned to face the challenges of the future head on, but most importantly, we will face it with the goal of supporting families and helping people with disabilities firmly at our core. NBI is proud to be a grass roots organisation committed to fostering supportive connections between people and across the community. We believe in building on strengths, embracing challenge and striving for excellence. We value and respect each individual’s unique attributes and contributions and put people at the centre of decision making as we seek to enable people with disabilities to achieve their goals. This report showcases a small selection of the many great stories and positive outcomes that are the essence of NBI. A heartfelt thankyou and congratulations to all the team at NBI on a successful year delivering a range of positive outcomes across our service offerings. This year we were successful in achieving external accreditation at our first attempt. It was pleasing and a positive validation of our focus on personalised service delivery to gain external accreditation and receive very positive feedback from our assessors about the quality of our services. In an environment of significant change it is vital that we continually balance a proactive approach to widespread Sector changes and the reform agenda of the NDIS with a continued focus on providing services day by day to the highest standard possible. We are continuing to invest in strengthening our internal capability and developing and expanding our profile and marketing presence and as part of this will be launching a new website in early 2015. It is essential that we grow and diversify our funding streams to ensure our viability and ability to respond creatively and create solutions to meet community needs. To this end we are implementing a range of strategies to build our profile and develop and grow alternate funding streams including fundraising and corporate partnerships. We are actively identifying and exploring opportunities to better meet the needs of the community including opportunities for collaboration to deliver positive local outcomes. I am confident that our personalised approach will enable us to build our understanding of people’s needs and wants within a self – directed and NDIS environment; this will continue to shape our focus as we review and develop our offerings to meet current and future demand. The year saw NBI partner to deliver new initiatives including the launch of a new all abilities Basketball program in partnership with St Luke’s School; thank you to Lia Sharma and her great team of student volunteers. We look forward to building on these positive foundations in 2015. We have completed our first venture into research with an Action Research project aimed at guiding improved strategies to strengthen outcomes for service users. Thank you to all the young people, parents and staff who participated in the project and a special thanks to Paul Schott who provided his expertise to guide the project and also authored the report. We are also participating in an important project to develop a clear evidence base around the value of volunteering for delivering a wide range of social outcomes and seeking to develop a business case for funding within an NDIS environment. I would like to recognise and thank our Board for their support and commitment and in particular their focus on strong governance and setting a strategic agenda to position us for success into the future. I am excited about the future and look forward to working with you all as we embrace change and develop initiatives to ensure we are strong and adaptable and well positioned to support and enable children and adults with disabilities and their families to participate fully in community life into the future. In 2013/4 NBI was involved in some exciting new projects which helped connect people with disabilities with the community. NBI partnered with CCNB to deliver a social bowling group for a group of local adults with disabilities. Every Wednesday the group meets for a couple of games of bowling followed by lunch. This group has been very successful in supporting people with disabilities to better access their community, develop social relationships and have fun. NBI has for some time worked with self-directed respite packages to support people with a disability and their carers to utilise their funding in innovative and unique ways. As the sector moves increasingly towards individualised funding NBI is excited to build on this experience and to continue to support people to maximise choice and control over the services they receive. NBI will work with individuals and their families to develop individualised plans to maximise the benefits from their funding package and/or privately purchased support. This project is funded by the Australian and New South Wales Governments under the Home and Community Care Program (HACC). The funding is administered by the NSW Department of Family and Community Services, Ageing Disability and Home Care (ADHC). This project provides respite packages to families caring for a child/young person aged 0-24 years with high support needs. The service provides planned flexible respite. The respite is provided by a paid worker usually in or from the client’s home on a one to one basis. This project is funded by the Australian and New South Wales Governments under the Disability Services Program (DSP). The funding is administered by the NSW Department of Family and Community Services, Ageing Disability and Home Care (ADHC). This project provides flexible respite packages to families caring for a child/adult aged 0-65 in Northern Sydney. The service enables each family to receive respite in a way that best meets their individual needs. NBI provides one to one respite to individuals and families whose funding is held by another organisation but who choose an NBI worker to deliver their service. This project links trained volunteers with a child aged 0-16. The children visit their host on a regular basis for fun and friendship whilst their family enjoys some time out. This program offers a wide range of community based recreational activities that are challenging, fun and promote the development of social relationships for young people with moderate to high support needs aged 16-24. The program offers group recreational activities to children with moderate to high support needs aged 5-16 years whilst providing families with respite. 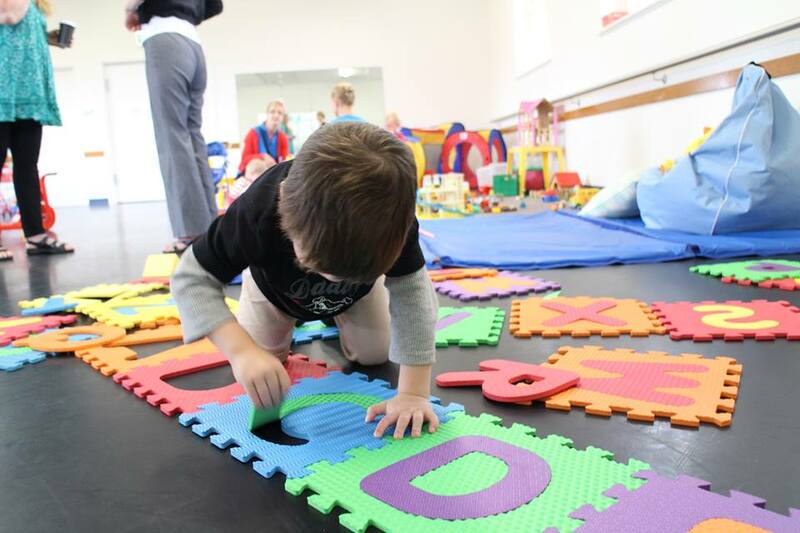 This developmental playgroup provides children with special needs aged from 1-6 years with a structured play environment that encourages skill development. NBI is an approved provider of Flexible and Drop in community based accommodation support. This program is funded by the Australian Government under the Additional Support for Teenagers with a Disability Program administered by the Department of Social Services. The TAG Program offers vacation care to families with children aged 12-18 years of age during the school holiday periods. A wide variety of age appropriate community based activities are offered. This project is funded by grants from foundations, clubs and NBI fundraising together with funds brokered from Northern Sydney Carer Respite Centre. The Seagulls program offers respite to families with children aged 5-12 years of age during school holiday periods. The program offers a variety of group recreation opportunities to the children while giving their family members some time out. This pilot project is currently funded by grants from foundations and NBI fundraising. Building on the success of our popular Peer Support project this project is providing peer to peer support and a wide range of community based recreational activities that are challenging, fun and promote the development of social relationships for young people with moderate to high support needs aged 24+. These projects are funded by grants from local councils, clubs, foundations and NBI fundraising. Northside Community Forum also supports a range of carer support projects. NBI provide a range of opportunities and events for carers to meet to enable them to share experiences and information and develop support networks. These include a vibrant Siblings Support program, parent to parent support, Carers retreats and a range of networking and information events.